"I'm More Than Okay—I'm Lucky to Be Here"
The effects of a spinal cord injury depend on the location of the trauma. Trauma to the cervical spine may lead to paralysis from the neck down; injuries to the thoracic or lumbar spine will affect sensation and movement in the trunk and lower limbs. A spinal cord injury occurs when there has been a sudden, traumatic blow to the spine that damages the delicate nerves within. At the moment of injury, bone fragments, ligaments or disc material cut into the spinal cord and interfere with the messages sent from the brain. Damage can also occur after the traumatic event, due to pressure placed on the spinal cord by broken bones. The location of the injury will determine the effects it will have on the body, and plays a large part in prognosis. Depending on the severity and location of the injury, the result could be a loss of function, feeling, or movement in the spine or limbs. The spinal cord is made up of a bundle of nerves that connect the brain to the rest of the body. The cord itself is protected by the vertebrae (the bones of the spinal column) that surround it. The spinal cord is rarely severed in a traumatic accident, but anything that causes pressure on it can cause a very serious injury. 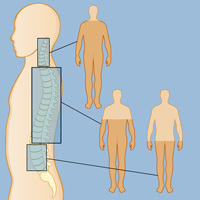 It is possible to fracture the bones of the spine, yet not cause any immediate damage to the spinal cord within. An injury can cause fractures and compression of the vertebrae, which then crush and destroy axons — extensions of nerve cells that carry signals up and down the spinal cord between the brain and the rest of the body. Tetraplegia or quadriplegia: This means the arms, hands, lower body, legs, and pelvic organs are all affected by the injury. 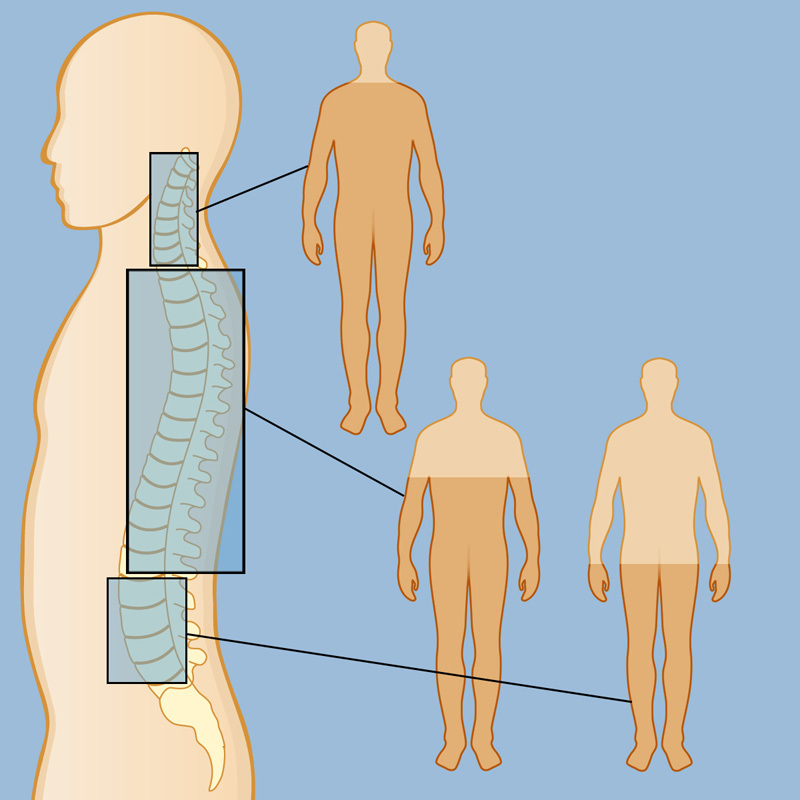 Paraplegia: This is a paralysis of all of the trunk, lower limbs, and some organs. Jeffrey P. Greenfield, M.D., Ph.D.